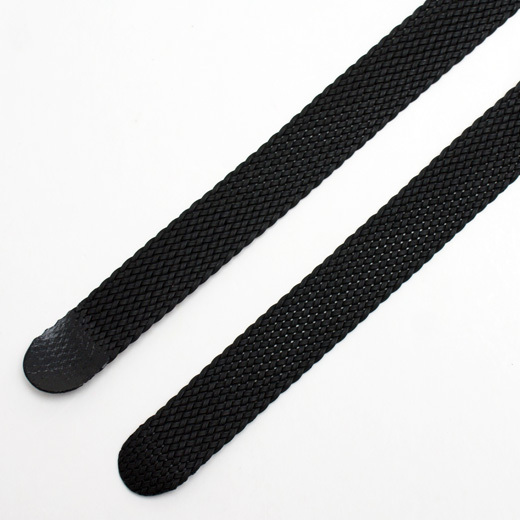 Black Perlon watch strap. 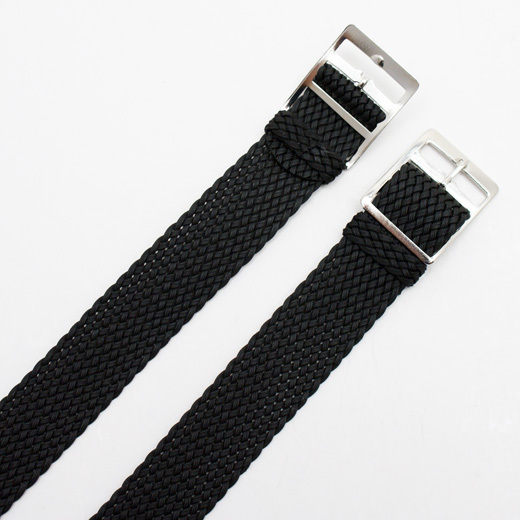 This is a regular length strap that will fit any watch where the distance between the lugs is 12mm, 14mm, 16mm, 18mm or 20mm (depending on the size you buy). Like all of our products, it is brand new and in stock in the UK, ready for our super fast shipping. 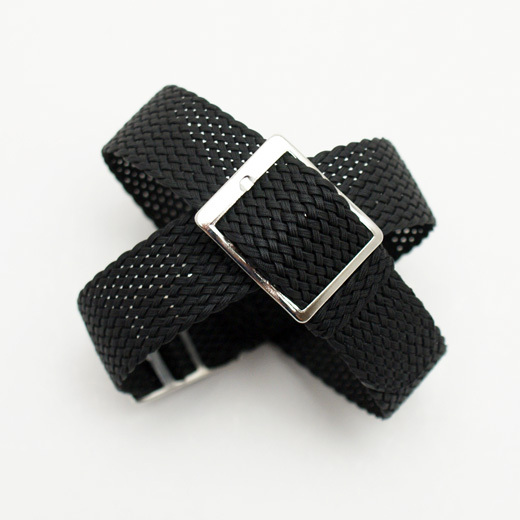 This one piece woven watch strap has no set size holes, which allows a custom fit. It is made from 1.1mm high quality woven summer weight Italian nylon that is lightweight, breathable and waterproof making it very comfortable and perfect for military, sport or dive watches. It is sealed at the end to prevent fraying. Please note: As is common with this type of watch strap, the buckle is quite flimsy. They can be easily removed for customers who want to use their own suitable replacement buckle. 12mm / 14mm straps: 220mm excluding the buckle. 16mm / 18mm / 20mm straps: 230mm excluding the buckle.